It was a great honor to support the Indian Fashion Label “Frajorden” from Mumbai at the Ethical Fashion Show during the Berlin Fashion Week in July. With the “Ambivalent” Fusion between scandinavian design and indian tradition made the outstanding new collection. The Story of Frajorden – Change is Simple! Be the Change! The idea of „Frajorden“ (Fashion from Earth) was born out of a vision it’s founder and owner Pranav Khanna had during his studies at MIT. He dedicated his life and work to questions roundabout sustainability. The fashion industry is one of the industries that strain our planet most. Tons of chemicals that pollute our enivronment and an immense consumption of water are only two factors. This is a big problem only the responsible producers of clothing can solve. Pranav Khanna was supported by Peter Senge during his process of rethinking and from then on he dedicated himself to the topic of sustainability in the fashion industry which has to fundamentally reorganise itself through systemic thinking and acting. Much too long have the cotton farmers been separated from the end consumers through modern production chains. 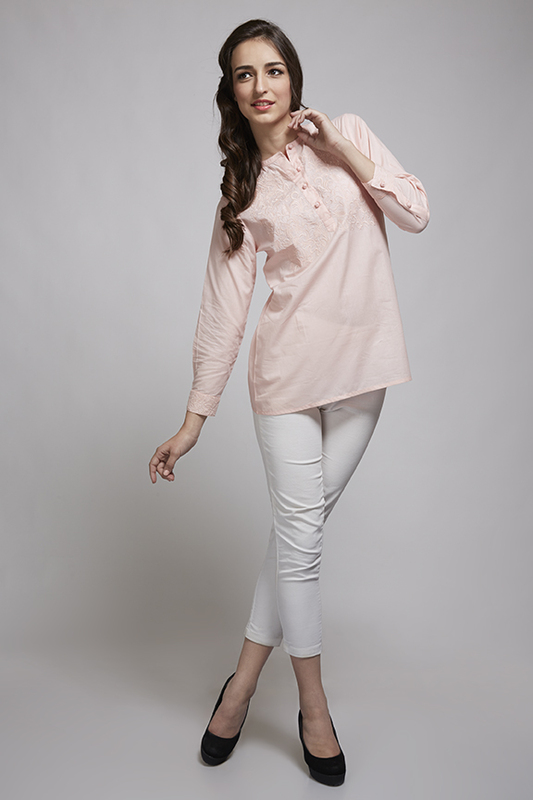 Today, India is one of the leading producers of ecological cotton. Sadly, according to the statistics, India is also the country with the highest suicide rate of farmers.This gap is to be bridged through more responsibility. Transparency is required, and more and more consumers want to know: How were my clothes produced? Fair Trade in the whole production chain and a sustainable ethical handling of our resources also obliges us to a considerate contact with our partners – the cotton farmers of India. They are dear to us, and Frajorden can only exist when they are happy and they thrive. Frajorden represents responible/considerate Fashion. It is not just important to look good, it is also very important to feel good- and that is our credo at Frajorden. 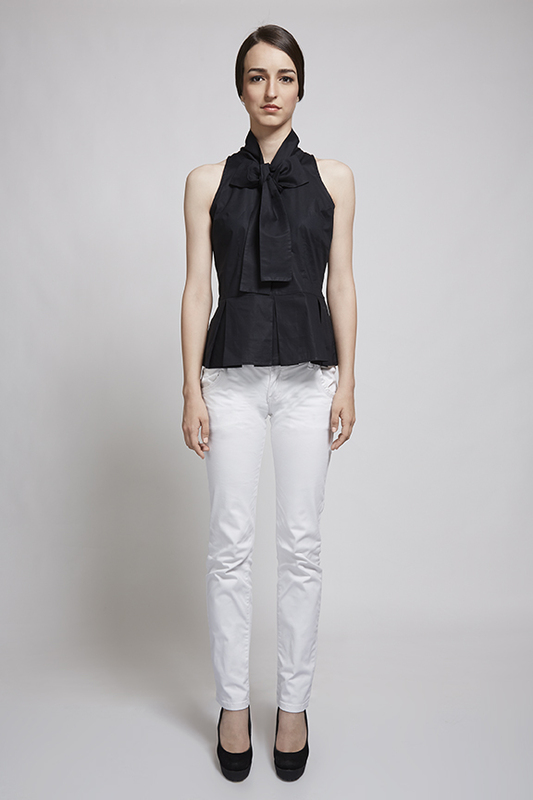 Ecologically produced fabrics from India and a classical scandinavian design make our label reach its envisioned goals. India as prodicing country has a long tradition in the field of producing sustainble ecological fabrics and clothing, and it has great potential. Frajorden: Fresh Fashion in a simple and elegant Scandinavian Design with a touch of unique Indian patterns. Responsible fashion that is suitable for everyday use, fashion to feel good in, made with much love from sustainable ecological cotton. Our products are an ecological alternative to the regular products and are only produced in small marges through an efficient and sustainable production. 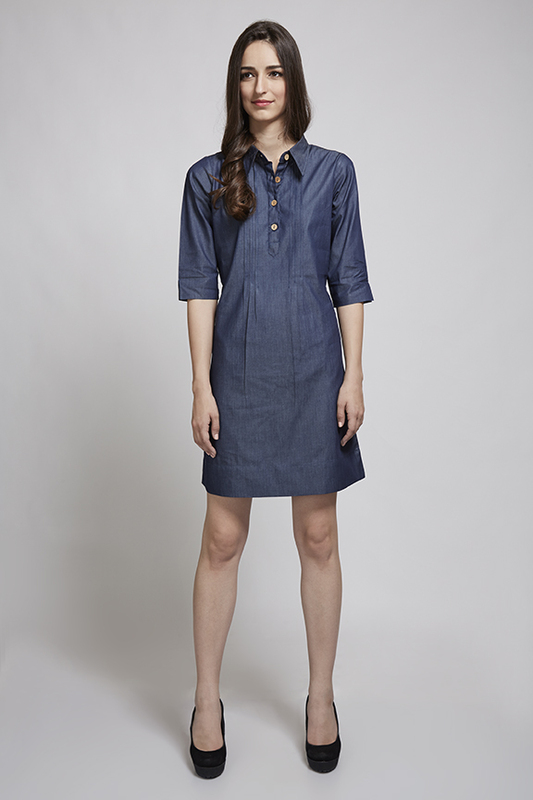 Frajorden only uses organic cotton, and the entire production process from resource to product is GOTS-certified. We cooperate directly and close with the responsible factories, which pay their employees fair wages and treat them socially. As a part of the „Green People of India“ Community we participate in the support of environmentally friendly companies. The proud cultural heritage of India shows in embroideries and prints of our label. It fits elegantly in the clear lines of Scandinavian design and thus makes the collections’ unique and individual look. The recent collection (Spring/Summer 2015) with the four lines „Classic Whites“, „Flirty Pastels“, „Formal Blacks“ und „Casual Blues“ was created by the Indian Designer Neha Shah Vora. She is responsible for design and style at Frajorden und has studied Fashion Design at the well-known NIFT (National Institute of Fashion Technolgy) in New Delhi. The four lines are matching ideally and can be combined according to taste. Thus they are flexibly combineable and make a complete outfit.for manifold occasions. Frajorden – Change is Simple! Be the Change! Nevertheless trends show immense delivery problems in the years to come, warns the report „Time for Action: Key Issues and Actions Facing the Cotton Sector in India“ of the first „Organic Cotton Round Table“ in March 2014 in Indore, India. Here, more than 170 guarantors from the Fashion Industry met to confer about the production of sustainable cotton. The meeting was organized and held by the C&A Foundation CottonConnect. „In the year 2015, there will be a deficiency in the sector of organic cotton of roundabout 50%. It is high time to act and prevent a gap between demand and supply. This gap could grow as big as today’s world production, said Alison Ward, CEO of CottonConnect. 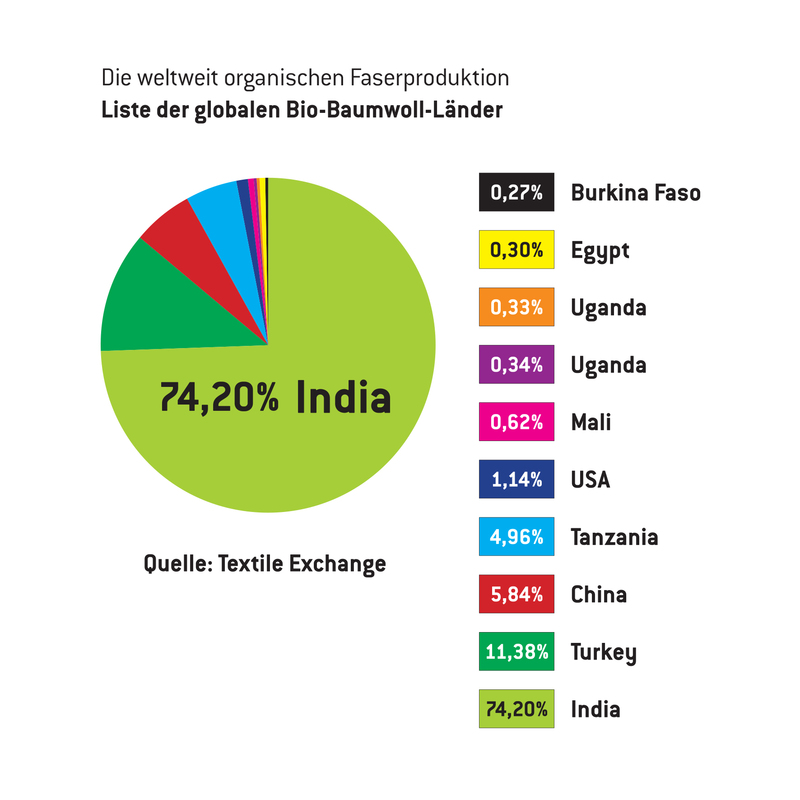 We all are sceptical towards the „big players“, who befürworten change, but not treat the cotton farmers responsibly.A realistic chance for the Indian cotton farmers lies in a cooperation with small and small-scale companies from the fashion industry as well as independent labels which can bring the history and the needs of the farmers closer to their customers. Nowadays, the conscious and responsible acting consumer demands that the farmer gets his fair wages and this represents a full member of the entire production chain.